There was lots of morning play. In fact the older dogs were exhausted early on. Only Apex stayed outside to monitor the puppy… and occasionally join in some random ball play or twig gnawing. AuRoara has been expert going up the stairs for a while. She still doesn’t go DOWN all the way, though. She’ll take the first step down to the landing, but then stops. She’s also started going up one stair, going along it, and then she’s able to jump down to the ground again. Today she practiced the bottom stair maneuver a few times. Exploring along the Bottom Stair. 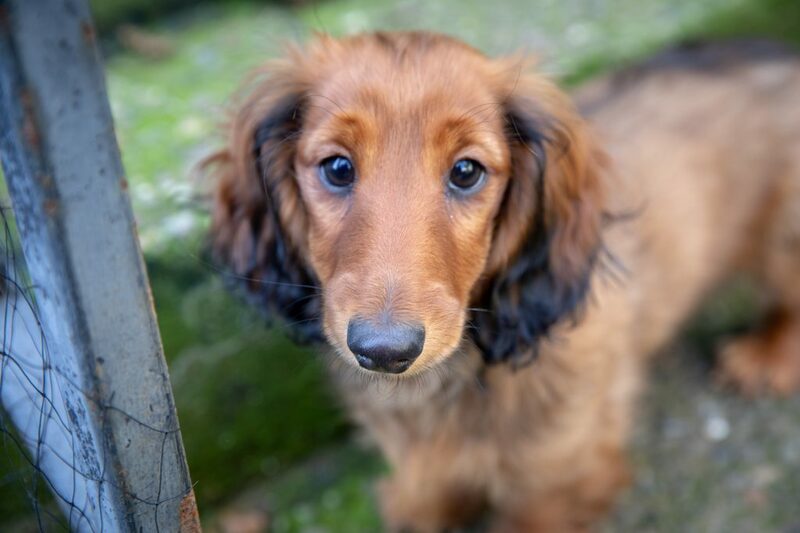 This entry was posted in dachshunds and tagged dachshunds, puppies2018, zenith puppies. Bookmark the permalink.